I couldn’t remember much about my childhood, who really do? 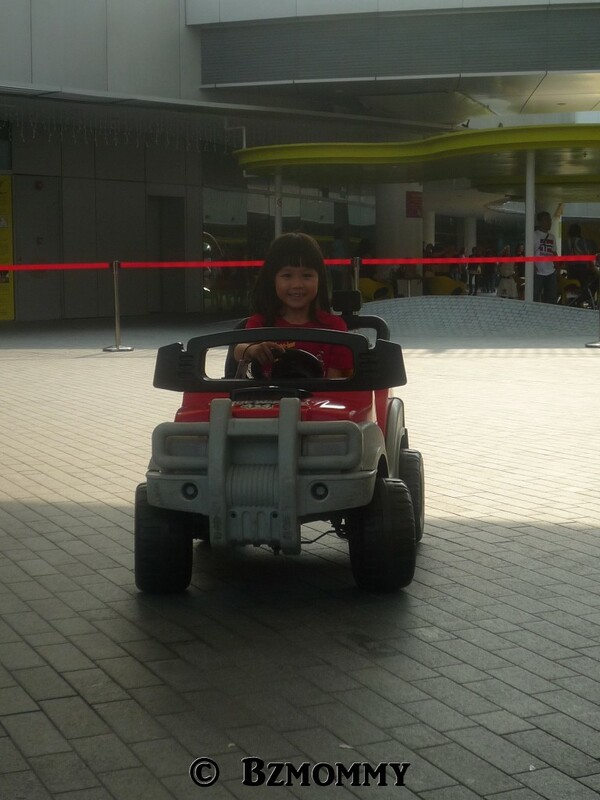 But I do remember that my dad brought me to the Boon Lay Shopping Centre and let me play with the car rides. There were cars and scooters to chose from and I remembered I had always went for the cars. Super loved it then! My daughter seem to follow my “interest” now. 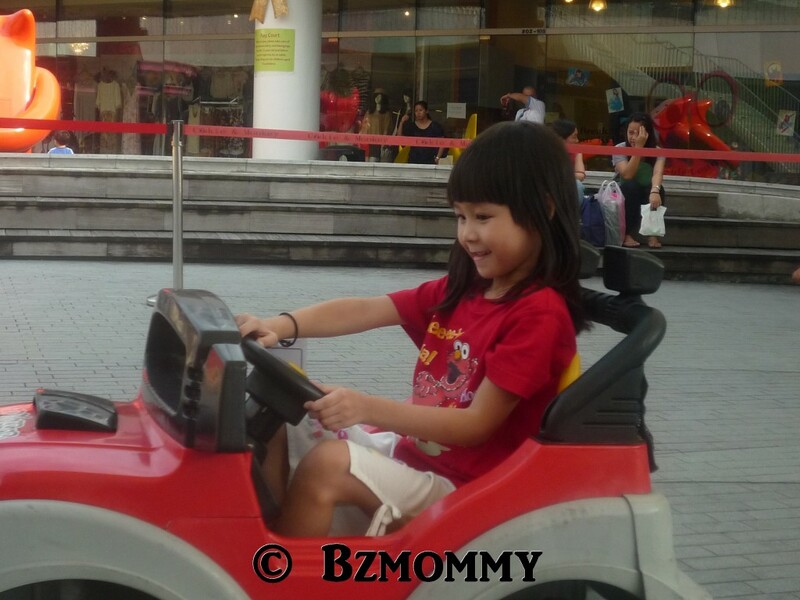 She saw the car rides in Vivo City and she kept reminding Daddy to bring her there. 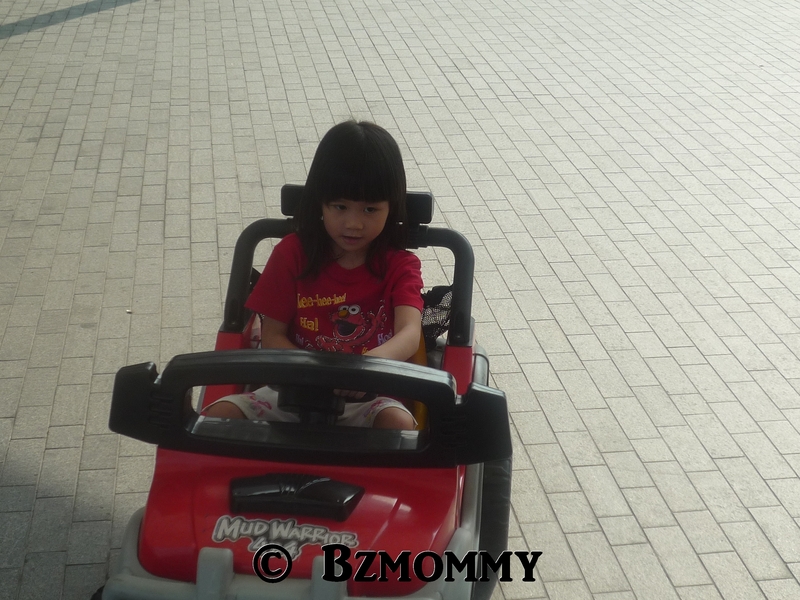 The rides were so expensive now! For a mere 5 (or 10) mins, it’s $10! Gosh, that’s easy money! 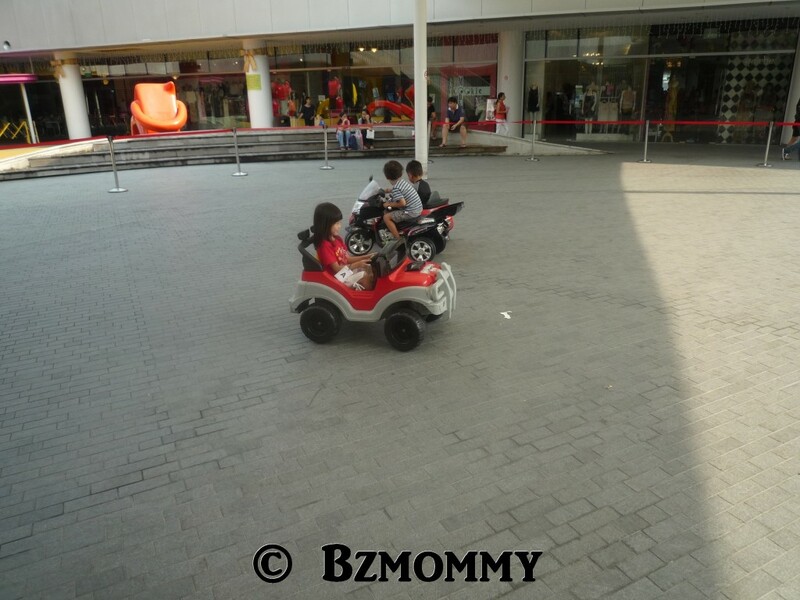 This brought back alot of memories to me…If only I still can squeeze into the car? Haha! This entry was posted in Dawn, Musings and tagged Dawn.